Sunday was the first time I’ve ever shucked an oyster. It wasn’t quite as easy as my fishmonger would have me believe. In fact, while I was standing at the oyster case deciding whether or not I really wanted to take on this task, my husband, who is not really known for his sense of humor, looked right at me and said, “What the shuck are you gonna do?” It cracked me up and I really did “LOL”. The fishmonger is evidently not known for her sense of humor either because she just smirked and didn’t get a good belly laugh like I did. I mean really, doesn’t she just ever enjoy life for the… halibut? Anyway, after I finished giggling and wondering how on earth that woman didn’t find my husband funny, I decided to go for it. After a couple of tries and watching a YouTube video, I got the hang of it and was able to shuck 25 oysters with a little elbow grease and patience. The outcome was worth the hard work. 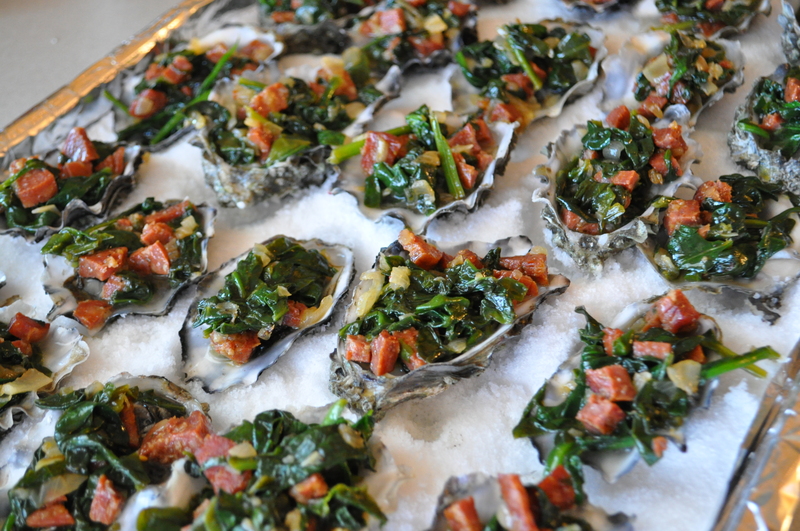 Next time I’ll get several extra so I can enjoy a few while I’m shucking…it was hard not to steal one or two. They were so fresh and beautiful. Now that I’ve done a few I feel confident that we’ll be enjoying oysters on the half shell several times during our camping season this summer! 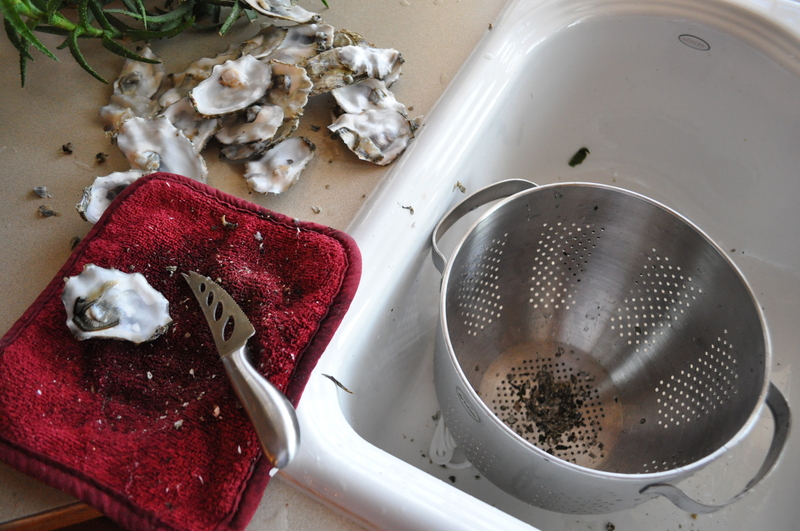 Place the oysters in a large strainer and rinse well. Line a baking sheet with tin foil and rock salt. The rock salt allows the oysters to stay put so you don’t lose the juice. I used kosher salt to lay them in because it was handy and I didn’t feel like running down to the basement to find the rock salt. 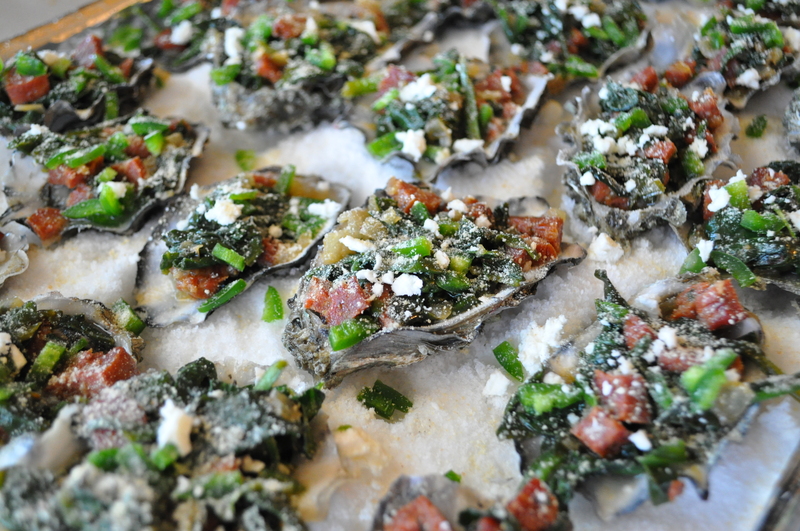 It worked just fine and hardened in the oven so it wasn’t all over the bottom of the oyster shells. Shuck oysters being careful that no grit or shell is left with the oysters. If you don’t have a special glove, use an old oven mit to protect your hand. 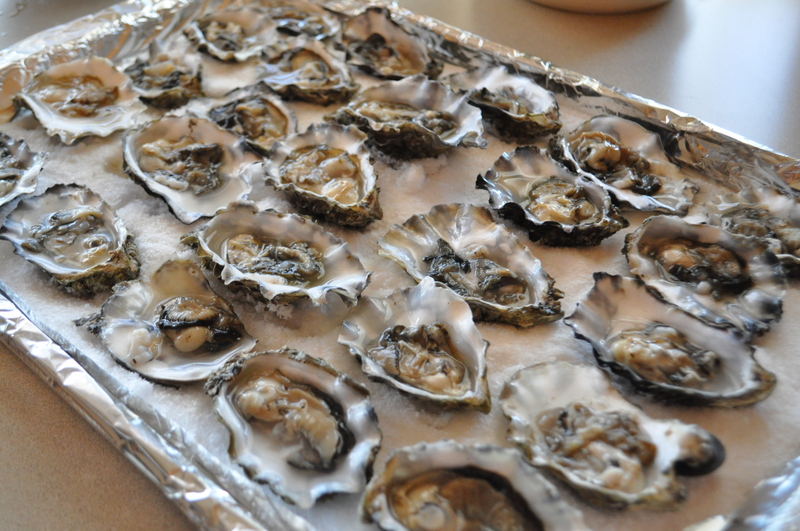 The fishmonger suggested I use a short flat head screwdriver to shuck the oysters but it didn’t work. You need to have a wider blade so you can twist it to pop open the shell. An over sized pocket knife would probably work just fine. You can go here to see how to shuck an oyster in 30 seconds. I wouldn’t say that I mastered the 30 second part, but the video definitely helped. There’s a tiny hole in the fat end of the oyster. This is where you wiggle and wedge the tip of your knife. Once you get it in a little bit you can twist the knife to pop the oyster open (sometimes they give a good fight) and then work it around the edge. I wouldn’t suggest using a serrated knife like I did, it’s a little rough on the delicate edges of the oyster. I ended up having to pick a few pieces of shell out of the oysters. 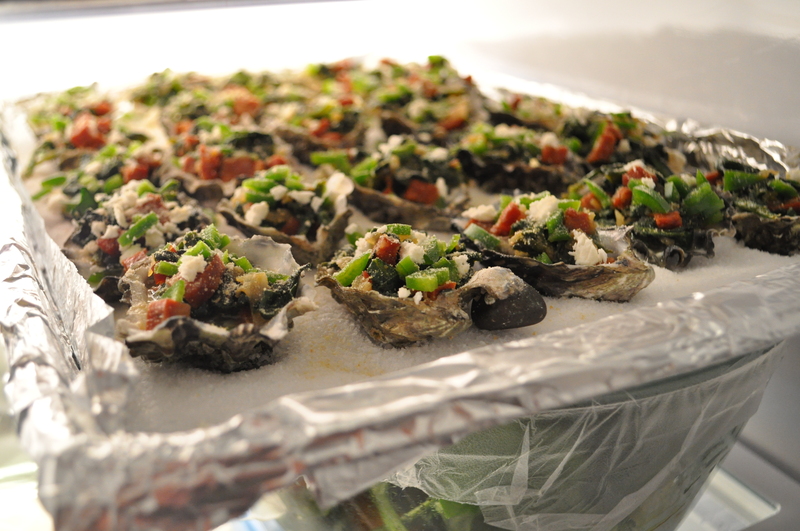 Once the oysters have been shucked and placed on the salted baking sheet, set them aside. Drizzle a little olive oil in a large skillet heated to medium. Add the diced chorizo and minced shallots. Saute until shallots are tender. Add the wine and simmer uncovered until most of the wine is evaporated. 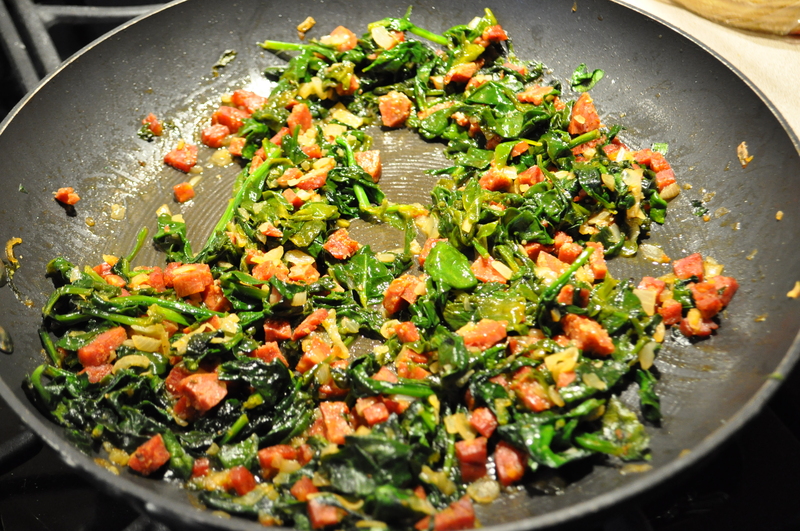 Stir in spinach and cream and cook uncovered for about 10 minutes until the liquid is almost all the way absorbed. Stir in salt and pepper, remove from heat to cool. In a small bowl, add the butter, garlic, and cilantro. Microwave until butter is melted. 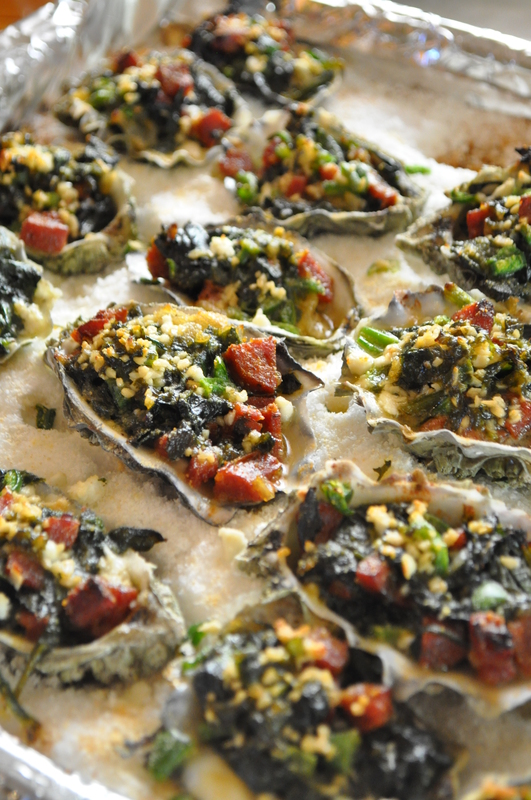 Place a generous teaspoon full of the spinach mixture on top of each oyster. Sprinkle with the diced jalapeno and drizzle each one generously with the garlic and cilantro butter. 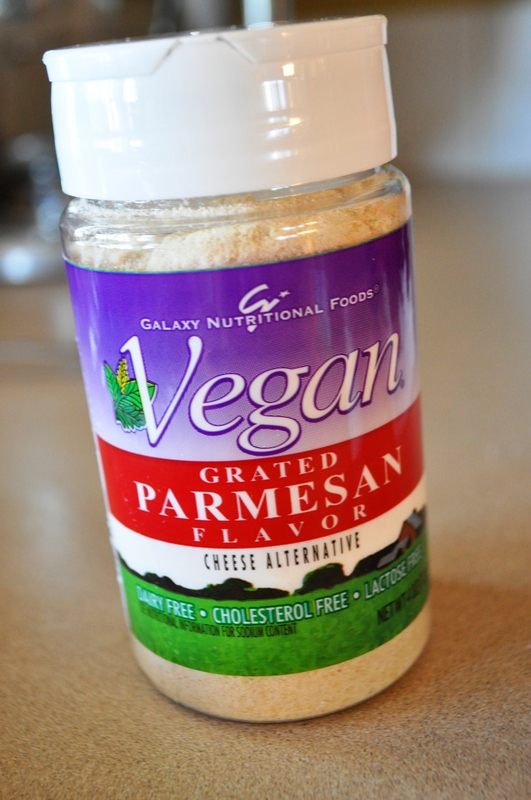 Top with a little crumble of Queso Fresco and sprinkle with dairy free parmesan. I placed mine in the fridge until guests arrived (about 2 hours). There’s a rock stuck to the one in front…thought that was kind of funny so I didn’t remove it. Once you’re ready to cook them, pre-heat the oven to 500 degrees and bake for 10-12 minutes . The spinach topping will be bubbling a little and the cheese will be beginning to brown. You can also serve them with lemon wedges and hot sauce. Sounds yummy- I love oysters! Thank you, they were quite yummy! These would make the perfect appetizer … well … at least I’d really enjoy them! Ive never had good luck shucking, though, and it’s why I rarely purchase them. The thought of doing it in 30 seconds is so far out of my reach but I’d be wiling to try again for this recipe. I think pretty much the only way someone can shuck oysters in 30 seconds is if they do it for a living. You do kind of get a rhythm going though. And they were so good, I will definitely be trying it again!